Total length: 25 cm, blade length: 12 cm - item number: 1874576030 - Other knife types and set combinations are available for this knife collection. Material: Blade made of rust-free and acid resistant speciality blade steel. Riveted handle without grooves made of high-quality plastic. Long lasting sharpness thanks to the hardened blade - significantly more robust than conventional stainless steel. Ergonomically shaped handle and perfectly balanced weight of blade and handle for comfortable handling. Cleaning the knife: Hand-wash. Preparing knives are true all-rounders and therefore indispensable cooking aids. Cutting vegetables, shredding lettuce, chopping herbs, filleting meat – a preparing knife can do it all. Sharp blades and handles designed to sit perfectly in the hand make working with a preparing knife a real pleasure for any amateur or professional chef. Knives typically representative of those in this category are all-purpose knives, although these tend to have a longer blade. Depending on the shape and edge of the blade, special preparing knives include filleting, larding and peeling knives as well as boning, sandwich and snack knives. For more details, refer to the respective knives. The Classic Line knife collection is perfect for people setting up their first home, offering a modern design, wide selection and good quality at an affordable price. Like all WMF kitchen knives, the knives in the Classic Line series are made from high-grade special blade steel and are thus extremely sharp. The high-quality plastic handles are embellished with stainless steel rivets and ensure a secure grip. Thanks to their seamless design, they are easy to clean and thus extremely hygienic. This collection is ideal for beginners, as it offers a wide range of knives to suit any purpose: vegetable, paring and preparing knives in various lengths, steak, larding, bread and decorating knives as well as a Santoku and a Chinese chef’s knife. WMF utility knives – get the preparation work over with quicker! Utility knives are an indispensable help in the kitchen. Whether filleting fish, chopping up herbs or slicing tomatoes, the WMF utility knives make the most important cooking tasks easier! Sharp blades and practical grips – knives from our utility knives category are for everyday use, which is why WMF pays extra attention to making them easy to handle. In this category you can find the various types of knife that you may need for preparing food. A utility knife can carry out a range of functions depending on how exactly it is shaped and ground. Traditional utility knives are typical all-purpose knives, which can be used for a variety of foodstuffs, for example cutting meat, filleting fish or dicing vegetables.  Grand Gourmet, Spitzenklasse Plus or Classic Line – the WMF online shop offers you matching utility knives for the different collections. You can also find a number of special knives in this category. A filleting knife is 14 to 16 cm long and its special blade is used to slice meat and fish wafer-thin. Larding knives, however, are available in different lengths. But they also have long and pointed blades to help cut deep into the meat without destroying the fibres in the process. No cooking enthusiast should be without the parer, which is just 7 cm long and has a relatively short, beak-shaped curved blade. This is used to peel round types of fruit and vegetables without too much effort. Boning knives too have a slightly curved blade. They are more than twice as long though, and with their very narrow blades they are used to remove skin and bones from meat. The WMF ham slicer is particularly long and as such is ideally suited to slicing large pieces of ham. Last but not least no well-stocked kitchen should be without a snack knife. With its soft serrated edge, it is used at the table to cut bread rolls in two, chop tomatoes or spread butter. You can place your trust in WMF utility knives. The high-quality and easy to maintain Cromargan® stainless steel 18/10 material and the solid, forged steel blade give utility knives their professional qualities and make them built to last. Thanks to the excellent edge you can use them to chop any type of food to your liking in an instant. Have a look around our range of utility knives today!